Sixteen-year-old Ebony has very overprotective parents, they have kept her so sheltered that she has never even stepped foot outside of the valley they live in. Finally allowed to attend school for the first time Ebony begins to notice how different she is to the other students, she is much faster and stronger and her senses are keener. That isn't the only strange thing happening to her though and as she notices more changes to her body she realises that her parents have been keeping secrets from her. As she tries to find out more about her past she makes a shocking discovery, one that is going to change everything. I have to admit that books about angels can be a bit hit and miss for me, I'm not always a big fan - especially if there is a strong religious theme to the book. I fell in love with the cover for Hidden though and couldn't resist giving it a try. I actually found Marianne Curley's mythology interesting though, the idea of four different dimensions fit well with the way most people look at the world and I'm very curious to find out more about the realm of Avena. We didn't get too much information about it in this book but I have a feeling we're going to see a lot more in the future. I liked the way the story is told from two different perspectives. Ebony and Jordan are very different to each other which makes it interesting to see things from both of their points of view. Ebony has been sheltered and protected by her family, she has had a relatively easy life while Jordan has spent his life in and out of foster homes never really finding a place that he was accepted and loved. I thought that Ebony acted in quite a realistic way for someone who was so sheltered but I did find she irritated me at times with her refusal to even listen to Jordan and Thane. I could see why she wouldn't believe them but felt she should have at least heard them out before dismissing them. Jordan was definitely my favourite out of the two characters, he was less innocent and naive so I found him easier to relate to and my heart went out to him as we learnt about his past. I really liked Thane too and would have liked to have seen some of the story from his POV. I did find the story a little slow moving at times but the action really picked up towards the end and that was when things started to get really interesting. I definitely want to read the next instalment to find out what happens next. I have to be honest and say there were some problems with Hidden, I found some of the mythology a bit confusing, some of the plot was a bit too predictable and not one but two cases of insta-love had me wanting to pull my hair out but in spite of that there was something about it that kept me reading. This is a fairly quick book to read and I ended up reading it in one sitting because I did want to see how things progressed. I've already said that the pace really picked up towards the end and that is definitely what hooked me in and left me wanting to carry on reading the series. 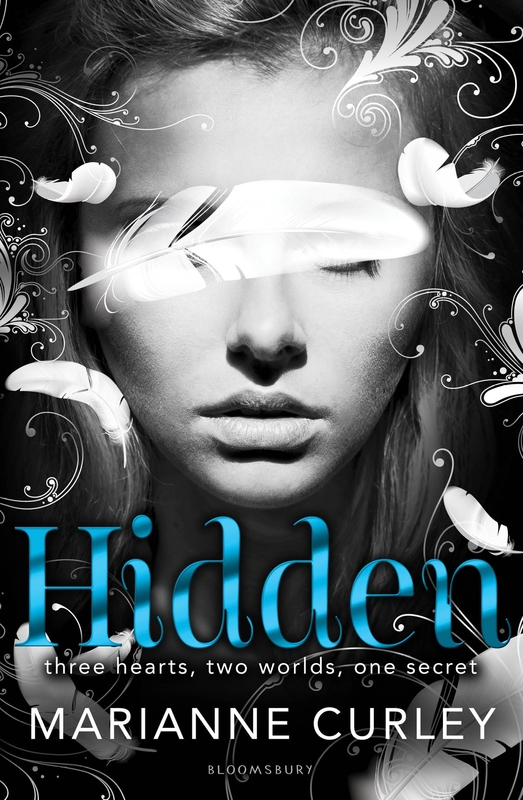 While Hidden isn't perfect it is a fun read and I think it's definitely worth giving it a try, especially if you're a fan of books about angels. I want to know more about Avena too! I finished this one this last week, though it was pretty decent, but I was disappointed by her choice for the cliffhanger ending.